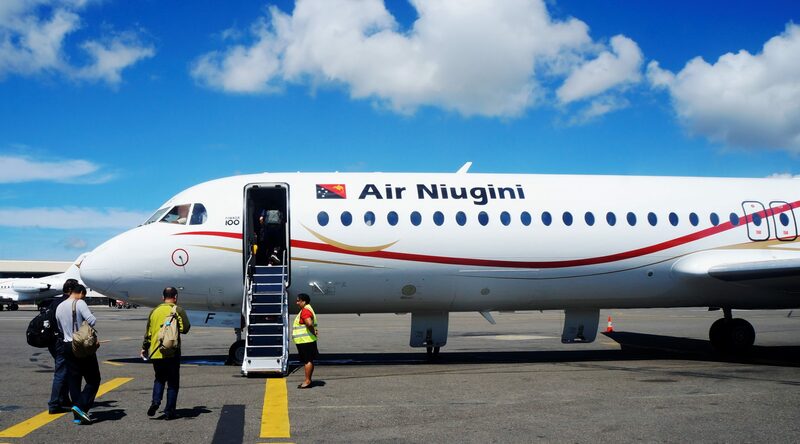 Air Niugini will resume jet operations to Aropa airport in Kieta, Autonomous Region of Bougainville (AROB), effective Tuesday 18th December 2018. The recommencement of jet operations is made possible following the installation of Precision Approach Path Indicator (PAPI) lights, which is a requirement for jet operations. PAPI lights are a visual aid that is generally located beside the runway that provides guidance information to help pilots maintain the correct approach to an airport. He said “ The flights on Tuesday will go direct from Port Moresby to Kieta and later onto Buka, Rabaul and back to Port Moresby whilst the Friday flight goes from Port Moresby to Rabaul, then Buka, Kieta and back to Port Moresby. “ The new Kieta flights will be operated by our Fokker 100 aircraft, which offer a more comfortable and faster journey, and the aircraft feature both economy and business class seats. Air Niugini will be the only airline offering nonstop flights between Port Moresby and Kieta, in addition to offering services between Kieta and Buka and Kieta and Rabaul.